You ring 0412 175 217 ... we bring! SUP Noosa, the perfect location! There really is no better place in the world to experience this fun and addictive sport and no better way than with SUP Noosa! 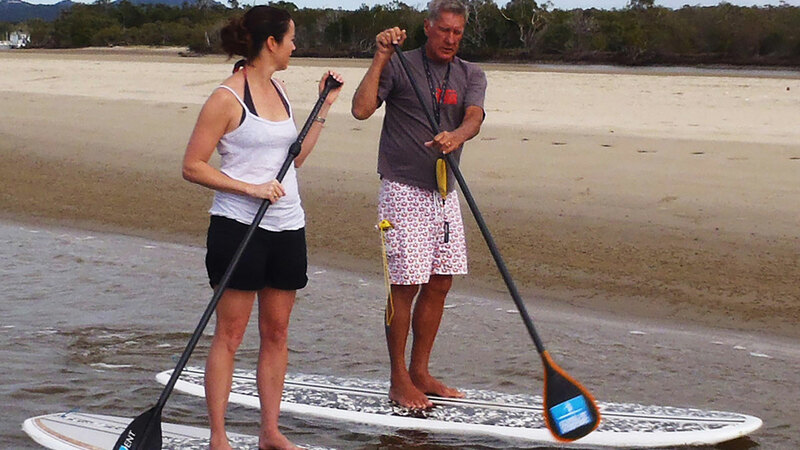 SUP Noosa, Australia’s first and Noosa’s premiere choice for stand up paddle hire & lessons. Come discover the thrill of Stand Up Paddling! Stand Up Paddleboarding (or SUP) is the fastest growing water sport in the world for good reason – it’s incredibly fun and easy to learn. We are passionate about SUPing. Providing the best in stand up paddling equipment & accessories, SUP lessons and SUP hire is our sole focus. Stand up and see the water from a whole new perspective! 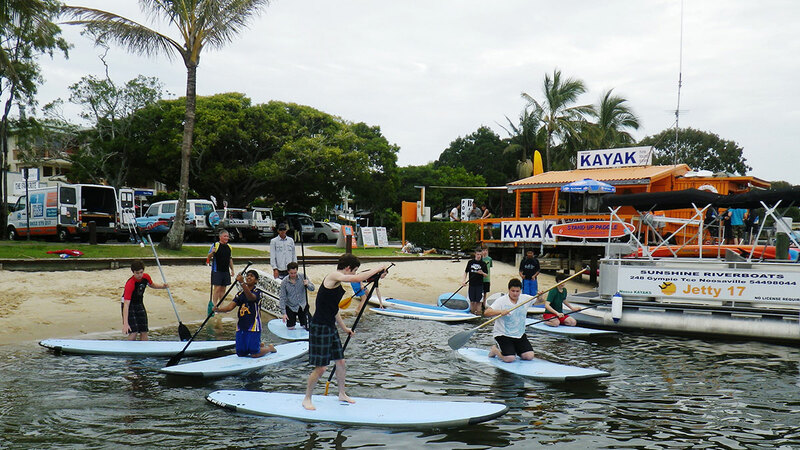 SUP Noosa is a small, family owned business opened in 2004 … Australia & Noosa’s first SUP school. 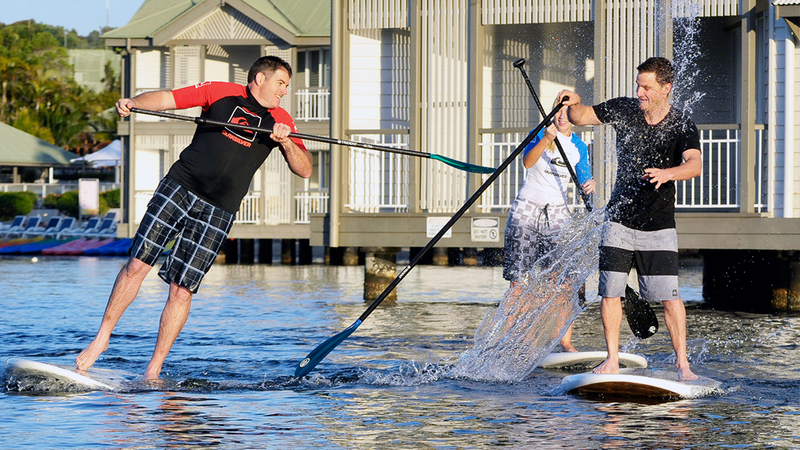 SUP Noosa is Noosa’s oldest stand up paddle business. Whether you like to call it Stand Up Paddle, Paddleboarding or SUP, we have the equipment for all ages and abilities. 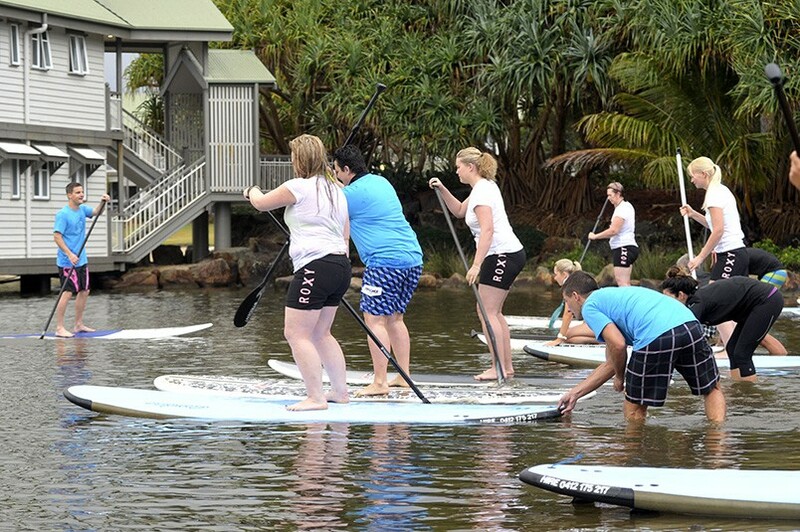 SUP Noosa provides stand up paddle board hire & lessons to help you experience this unique sport and explore the natural beauty & surroundings of the Noosa waterways. 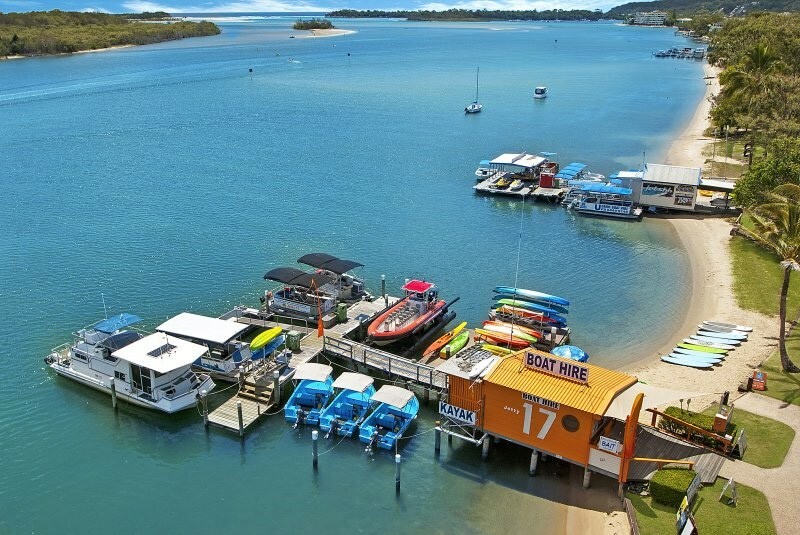 Located right on the Noosa River, at Jetty 17, 248 Gympie Terrace Noosaville, simply step off the beach onto your board and paddle away. With its extensive waterways of rivers, bays and surf, Noosa is the perfect location to SUP at any level. Tom Carroll Paddle Surf (TCPS) represents the very latest in design, innovation and hydrodynamic performance for the surf SUP genre. Unique design elements, along with the latest in material technology, feature heavily across two distinctive SUP models. 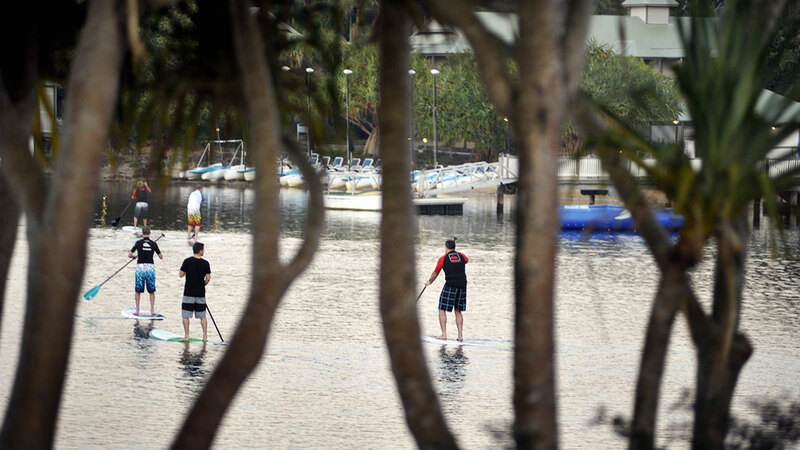 SUP Noosa offers SUP board hire from an hour through to week long, flexible enough for when you are on holiday or just fancy giving paddle boarding ago. SUP Noosa has an extensive range of SUPs available for surf or flat water paddling , offering high quality brands to suit everyone from beginner to pro level. We offer FREE delivery to your resort or holiday accommodation in the Noosa area for daily or weekly rentals. Complete our SUP Board Hire enquiry form or call us now to reserve your board for your next SUP adventure. 0412 175 217 to call! Lessons are 90 minutes & include board and paddle, safety advice, instruction on paddle strokes and turns to control board direction. Lessons are held on the calm waters of the Noosa River & waterways , the perfect environment to learn and build your confidence. Lessons are a great way to have fun with friends, family, as a team building event or social group event. Enjoy time out from hustle of work. Complete our SUP Lessons enquiry form or call us now to reserve your board for your next SUP adventure. Stand up paddle surfing is a traditional Hawaiian sport which promotes balance, strength and general fitness. It is excellent for surfers and non-surfers alike, as it provides an isometric workout that strengthens your core muscle groups, while giving you a fun and exciting way to view the natural surroundings. 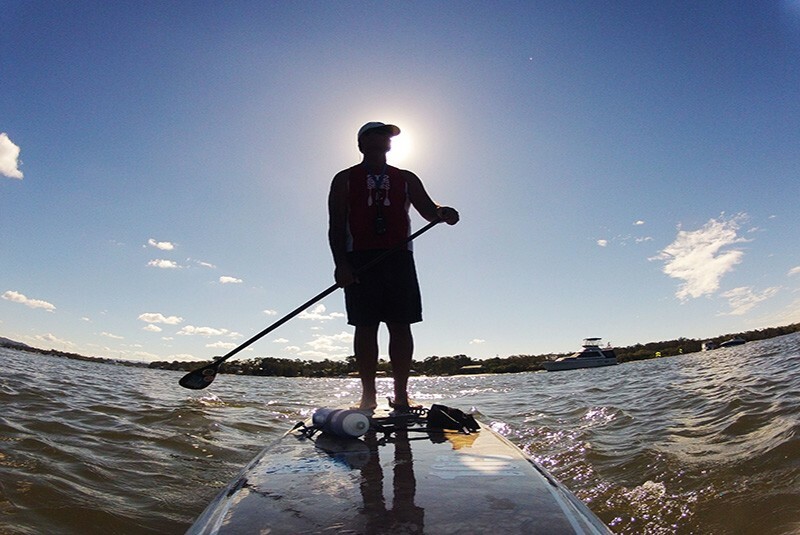 SUP provides a superior core workout on both flat water and amongst the waves. It is an ideal sport for cross-training as it brings together leg, back, feet, arm, neck & stomach muscles in a display or core strength and balance. Health and fitness experts all over the world are quickly catching up with the outstanding cross-training benefits of SUPS, with several personal trainers in France, England, Australia and the US incorporating the sport into their sessions. Exceptional service. Instructors are so cheerful and fun! What a way to explore the beautiful river! Awesome every time we use them. The guys explain everything really well, they are polite friendly and always have a bit of a giggle with us. We won’t go anywhere else!